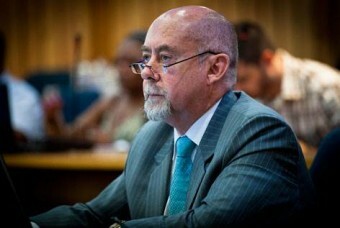 AFRICANGLOBE – Medical students at South Africa’s Stellenbosch University have called for apartheid-era biological warfare specialist Wouter Basson — dubbed “Dr Death” — to be banned from teaching them. Basson was found guilty by the Health Professions Council of South Africa (HPCSA) on four charges of misconduct in December 2013, but is fighting efforts to have him removed from the national roll of doctors. Basson has given tutorials to students sent on rotation to a clinic where he works in Cape Town, the students’ council said in a statement carried by South African media on Monday. “Basson was the apartheid-era head of the chemical and biological warfare project for the South African government and is accused of multiple crimes against humanity,” the students’ council said. The HPCSA charges against Basson included supplying drugs for cross-border kidnappings and providing cyanide suicide capsules for specialised units while he was a member of the South African military fighting anti-apartheid activists. In 2002, he was acquitted in the Pretoria High Court of 67 charges including murder, fraud and drug trafficking. “While acknowledging that Basson is not directly employed by Stellenbosch University, the Tygerberg Student Council hereby issues a clear and unambiguous call to management to effectively bar Basson from any and all contact with students,” the council said. The university, located some 50 kilometres (30 miles) east of Cape Town, said in a statement that since Basson was found guilty by the HPCSA “he has not been involved in the training or supervision of students in any official capacity”. Last week, student protesters at Stellenbosch won the right to be taught in English at the university, which was the intellectual home of Afrikaans-speaking white settlers during apartheid.